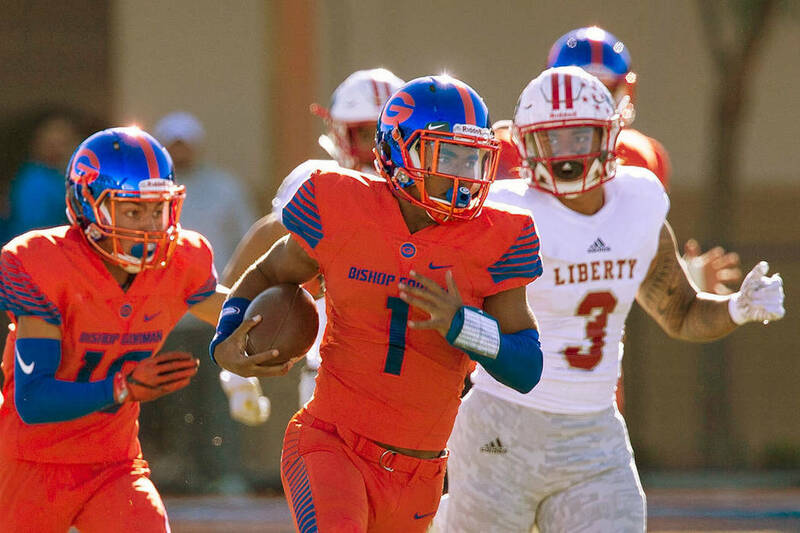 Ten-time defending Class 4A state champion Bishop Gorman will host three games of the 2019 Polynesian Football Classic. Faith Lutheran and Liberty also will compete in the event, which will be held Sept. 6-7 at Fertitta Field. Desert Region runner-up Liberty will face St. John Bosco (California) in the first game at 7 p.m. on Sept. 6. Mountain Region runner-up Faith Lutheran will face six-time defending Arizona state champion Saguaro at 3:30 p.m. on Sept. 7. The Gaels wrap up the event by host Servite (California) at 7:30 p.m. on Sept. 7.